Evan Spiegal has changed the world forever through his creation, Snapchat, an application that immediately soared to greater heights more than what the world expected. The millenials love it, especially the teens and young adults. Yay, another platform where they can show off their new collection of Jordans, make-up of the day, and challenge Kim Kardashian in a selfie contest, but little do they know that Snapchat’s use among older adults is growing fast and maybe even growing better than the younger’s use! According to the LA Times, during the last year in the U.S., Snapchat added 25-to-34-year-old users (103%) and older-than-35 users (84%) faster than 18-to-24-year-old users (56%). This just proves that older people are still hot and they’re only just starting. Here are some reasons why old people are beating you at Snapchat. Unlike most of us, we like to look our best whenever we post selfies on Snapchat hoping that our crush who we’ve never spoken to magically comes across it and falls in love. But for the older adults who are above such trivial things…are they not? In any case, they have a smaller network in Snapchat so they just don’t understand the pressure you have to look your best. They’re mostly just connected with a few of their closest friends, their nieces and nephews or even their grandchildren. And let’s face it, if your grandmother got on Snapchat, you’d love her no matter how she looked. You can see that their Snapchat stories are filled with unadorned selfies, pictures of their garden, and Tootsy, the adorable cat next door. That effortless coolness you spent hours trying to achieve. While teenagers are more concerned in gaining more followers on Snapchat, those out of the pimply years use this app to get closer the to their family. As mentioned, people over 35 years old often have a smaller network compared to teenagers. They were probably convinced by their 14 years old niece to try this app and because Snapchat is an easy to use tool those who didn’t grow up with a smartphone in hand are getting the hang of it without much hassle. It’s easier and faster for them to send and receive pictures to and from their family and friends on a daily basis, even hourly, and that’s a personal connection you never get from Facebook or Instagram. Snapchat for the old is more than just about selfies and sexting your significant other or the wrong user, it’s also about the entertainment. 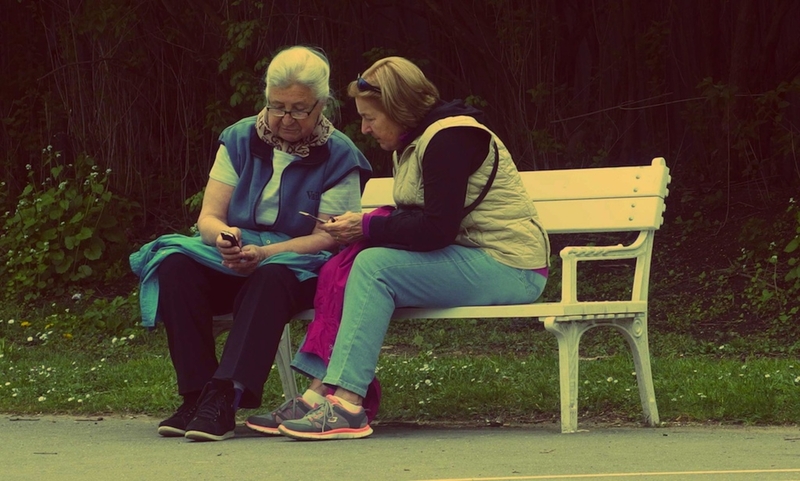 Snapchat is just so easy and so fun to use, and older adults just can’t get enough of it! It’s spontaneous, candid and—most importantly—more immediate than other social media platforms. You can be as witty as you want in your photo captions without caring about your public image or boss. Moreover, you can easily browse posts about companies such as CNN and ESPN, which is something that older workers actually would rather look at than your half-naked selfie. Or so they’ll have us believe.